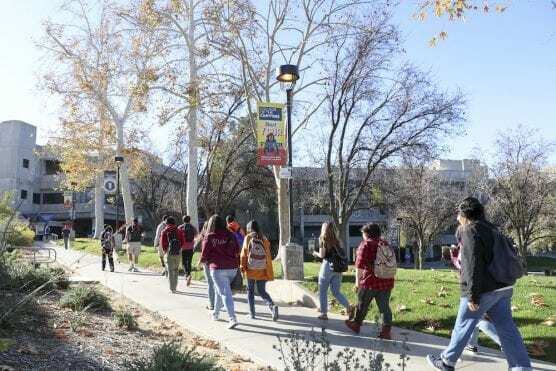 The Santa Clarita Community College District’s Independent Citizens’ Oversight Committee accepted the audit results, which showed that for the 12th year in a row, the district has properly accounted for all bond expenditures. Vavrinek, Trine, Day & Co. LLP conducted both the financial and performance audit, covering the fiscal year that ended on June 30, 2018 and issued the District an unmodified opinion – the best rating possible – noting no adjustments, audit findings, questioned costs or instances of bond noncompliance. The firm presented its report to the district’s independent citizens’ bond oversight committee at a meeting on January 9, 2019. Nicholas Lentini, chair of the bond oversight committee, commented on the thoroughness of the auditors’ evaluation. “The amount of material you examined in your review is impressive and demonstrates the strength of the district’s fiscal oversight of the bond program spending,” he said. The 2017-18 audits confirm approximately $229 million in resources from the first five bond issuances, which also includes earned interest and net premium in the bonds. Of that amount, more than $170 million has been expended on authorized bond projects, leaving the District with a Measure M bond project fund balance of $10.4 million and a Measure E fund balance of $48.9 million as of June 30, 2018. “The work of the Independent Citizens Oversight Committee is important in confirming for the community that the college is in fact delivering on the construction and renovation projects authorized by voters,” said Sharlene Coleal, assistant superintendent, vice president of business services at the college. “Being able to count on the support of the Santa Clarita Valley community is a privilege as we build for the future and continue to grow in response to community needs,” said COC Chancellor Dr. Dianne G. Van Hook. Since its passage in November 2006, Measure M has funded major facilities and campus expansions at the college, such as the construction of the Mentry Hall Expansion, The Learning Center (TLC)/Library Expansion, Dr. Dianne G. Van Hook University Center, the Canyon Country campus, the College of the Canyons Institute for Culinary Education (iCUE), and the Canyons Hall student services/administration building. The addition of these facilities has enabled the college to accommodate more students, add programs, and enhance access and opportunity as enrollment grew 44 percent between 2004 and 2017. The balance of Measure M was used to begin construction of the Science Center at the Canyon Country campus and a 1,659-space parking structure at the Valencia campus. Measure E, the $230 million general obligation bonds approved by voters in June 2016, provided the funding to complete those two projects and will enable the college to fund future construction projects at both campuses. Follow the link for more information about the Independent Citizens’ Bond Oversight Committee.